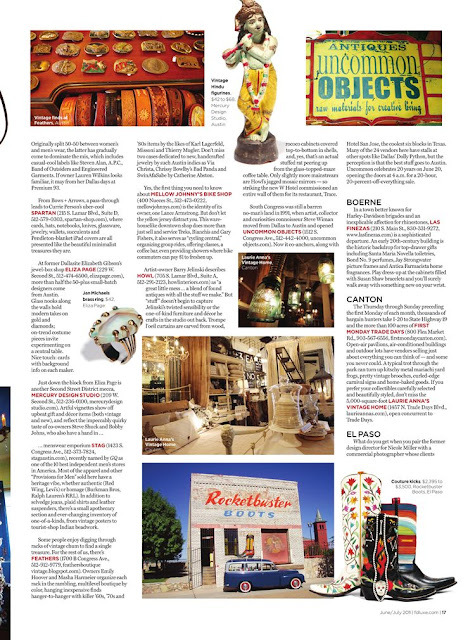 Being named by Southern Living as one of the Top 5 places to shop in Canton was pretty cool. What could be cooler? Being named as one of the 50 Best Stores in the entire big ol' state of TEXAS!! F D-Luxe Magazine, a monthly publication by the Dallas Morning News honored us with a space on their top 50 list and we are over the moon! Our Shoppe was included with the likes of Uncommon Market in Austin, what a fantastic honor! They included some great photos of the Shoppe too! Read the article HERE. We didn't have a clue about the article. In fact, I spent the day in Dallas shopping with Daphne and visiting with friends and came home to find a note from my sweetheart of a friend, Lucinda Cummins, on our Facebook page congratulating us. We find out everything from you guys! What a fantastic surprise! 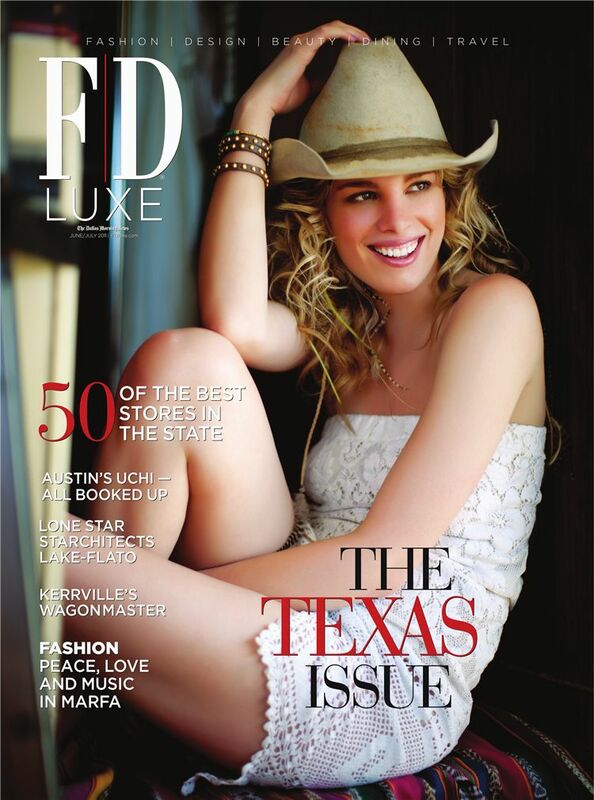 Thank you F D-Luxe Magazine, and Dallas Morning News! And, most importantly we thank you for shopping with us! You made this happen for us! P.S. This was not the exciting news I referenced yesterday, this was instead a wonderful sweet surprise! Stay tuned for our exciting news! You are a blessed lady sweet friend!! What an honor! Congratulations to you all! I will be coming to see your beautiful wares in July when I visit my friend Becky in Louisiana. I live in Tennessee, so I am truly looking forward to this treat that she keeps telling me about. Amy, I've heard so much about you from Becky that I feel as though I know you! Can't wait to finally meet you in person! Thank you Becky & Lori, love you girls to pieces! Congrats! So well deserved, your store is an absolute feast for the eyes! How wonderful! I'm so excited for you, it's so nice that your hard work and talent is being recognized! Congrats LaurieAnna!! So very exciting and so well deserved!! LaurieAnna, Wow, congratulations! !What an awesome honor!!! What an honor and so exciting!! Congratulations!! Laurie I just want to say a Big CONGRATULATIONS to you.... you work so hard and are so deserving of this, I am very happy for you! In the WHOLE state of Texas! That is huge, although all of us already knew that you are the Best in Texas. I am so proud of you and all you have accomplished. It is nice to see all your hard work and talent recognized. As if it is not already crowded in there, now there will be lines out the door (but worth the wait). Congratulations Friend! Congratulations! I know first hand just how scrumptious everything is in your Shop. Happy Weekend! I'm so happy for you ~ congratulations! Congrats on both honors! Good for you! Wow, what an honor! A very well deserved honor, your shop is completely amazing and gives me so much inspiration! Congratulations LA! This does not surprise me in the least, your store would make the top 5 list in Texas, it's amazing! Well duh, there aren't many stores that I would drive 7 hours to visit! But yours is always worth the drive, my favorite store anywhere, not just in Texas! I just found your blog, congratulations on being in the top 50. The store looks amazing. I am now following you. Congratulations.....how exciting!!! I will definetely be stopping by for a visit when we make it back to Texas :o) Have a great week!!! Thanks for stopping by and a huge Congratulations to you! Love you blog and adore your fabulous store.